Bachelor’s degree in Accounting with minimum GPA of 2.75 or equivalent from a reputable institution; advanced degree would be a bonus. 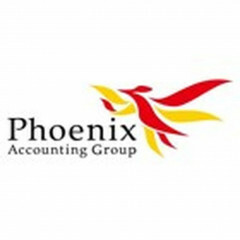 Have experience as an auditor in public accounting firm for at least 2 year is mandatory. Excellent communication, presentation and interpersonal skills with ability to deal with people at all professional levels. Strong logical thinking, analytical and problem solving skills. Ability to work effectively under pressure and meet established goals and objectives within the specified deadline, while maintaining quality at all times. Proactive, self-motivated and able to work effectively in a team. Full proficiency in English is mandatory both verbal and written. Ability to operate MS Office applications is essential. Extensive knowledge in the Auditing and Accounting area. Prepares memoranda and other working papers, letters, and correspondence (e.g., Audit Planning Memorandum, Audit Approach Plan, management letter, and corre­spondence with the client). Participates in meetings with the client engagement team and the client. Presents information to others in one-on-one and small group situations, such as verbal presentations to client personnel. Interacts with client personnel and demonstrates a commitment to continually improve our client's satisfaction. Untuk melamar Lowongan Kerja Senior External Auditor di PT. Feniks Konsulting Indonesia, silahkan klik disini. Demikianlah informasi mengenai Lowongan Kerja Senior External Auditor di PT. Feniks Konsulting Indonesia semoga berguna bagi anda.